 Play online PVP games or offline RPG guild wars in this fun idle adventure game! 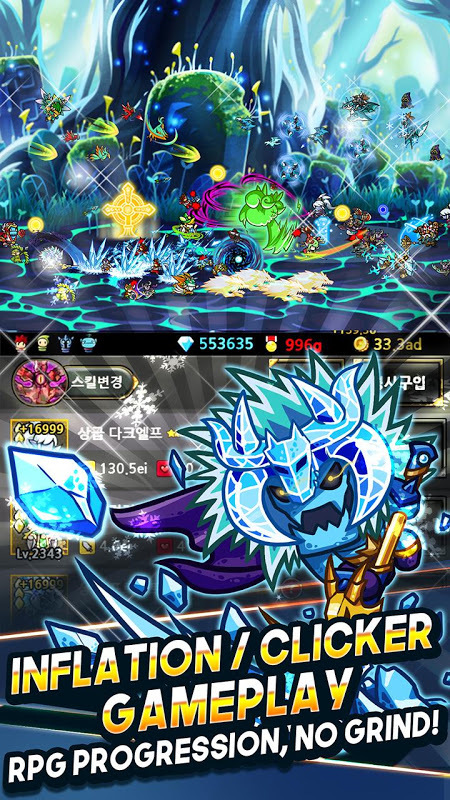 [Special Presents from Endless Frontier] To celebrate Christmas, we have redecorated Endless Frontier. Enjoy the variety of events and Christmas presents. Endless games and fantasy RPG adventures bring legendary heroes into an idle RPG battle that began over a thousand years ago! 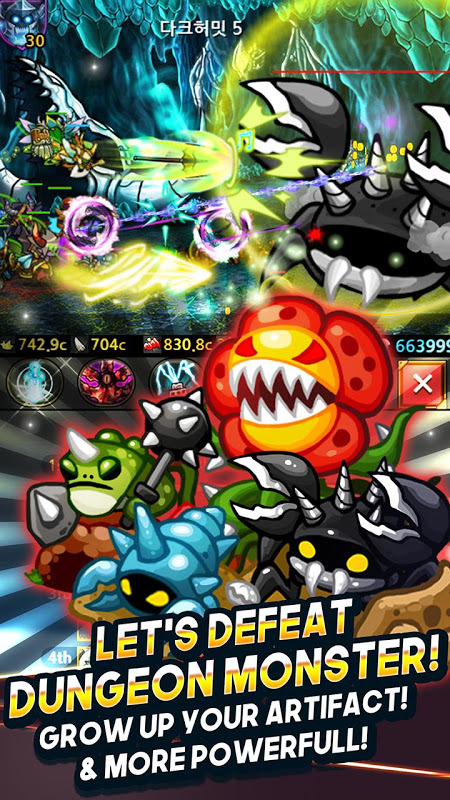 Enter online PvP role playing game battles, fight dungeon boss monsters and end the reign of the Dark Prince in Endless Frontier! Play endless games of fantasy RPG action with online PvP matches, online RPG guild wars and plenty of treasures to unlock! Level up your character with limitless fantasy RPG power ups and take control of legendary heroes in the Endless Frontier! 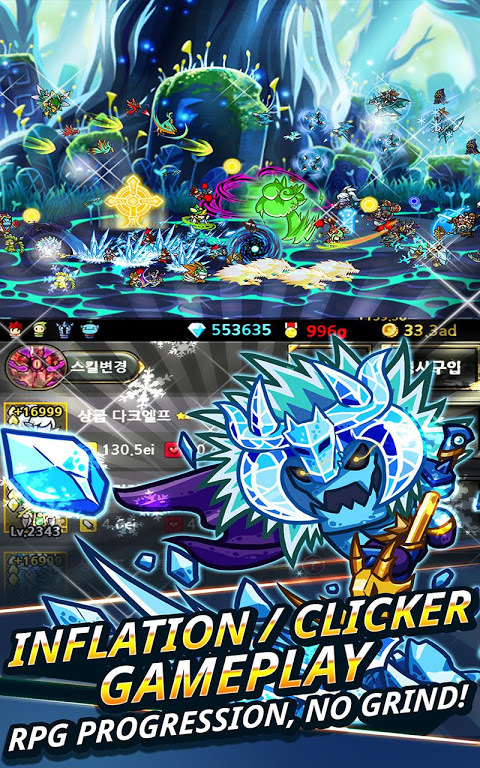 Idle clicker games mechanics let you manually power up your units and send them into battle, or sit back and watch the game play itself, even when you’re offline! In this idle RPG, after failing to defeat the dreadful Prince of Darkness, Erin vows to revive himself again and again to organize the Knightgage of Dimension! Join the clicker game of automatic fantasy RPG action! Online PvP, auto RPG adventures and idle action await! Endless Frontier Saga 2 Features: ★ Idle RPG online gameplay in an exciting fantasy adventure! ★ Adventure roleplaying games storyline has you lead your knights into the heat of battle and defeat the dreaded Prince of Darkness in epic autoquests! 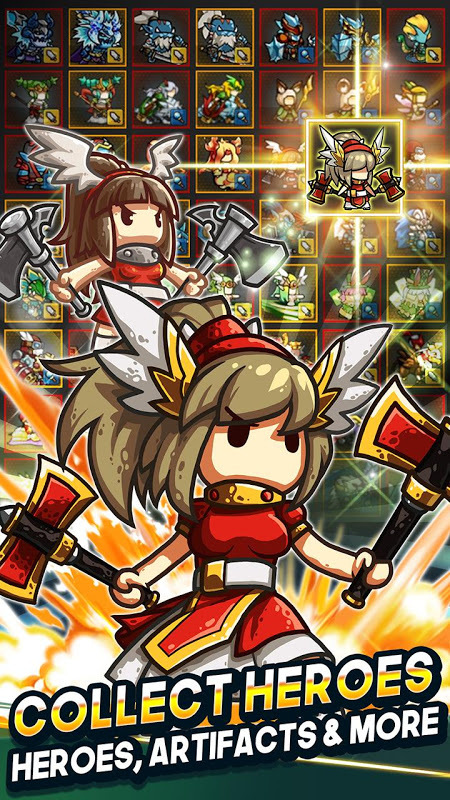 ★ Tap games mechanics let you select, power up and send out your heroic units with a touch of the screen ★ Fantasy RPG heroes number over 150 and have their own powers – Which ones will you command? 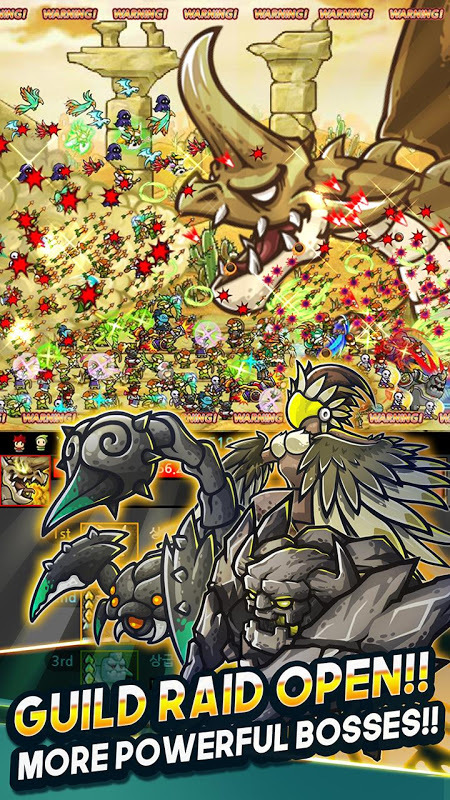 ★ Monster RPG trainer lets you recruit more than 50 pets to aid you in your quest! 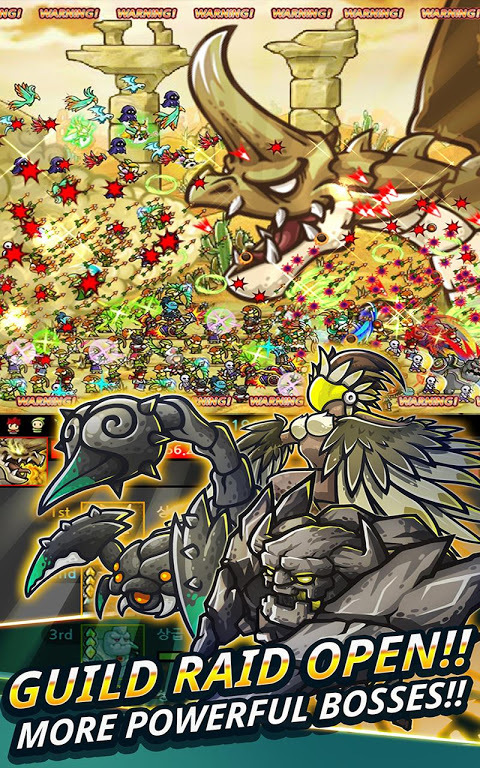 ★ Level up and command more than 100 kinds of army units to become legends of war! ★ Leveling up games - Grow stronger each time you revive with progressive gameplay! ★ Endless games levels for endless fun! There’s no limit to the amount of power you can obtain! 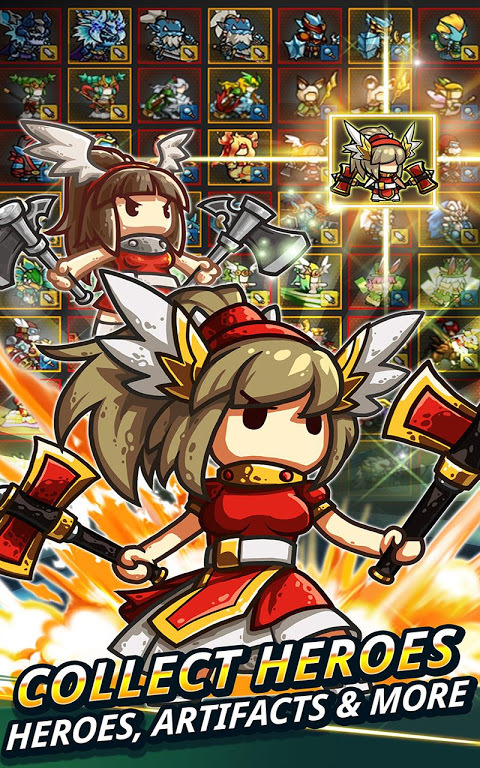 ★ Level up and tap your way through an expansive frontier of over 9000 stages! ★ Endless games and online PvP awaits with RPG battles and 200 vs. 200 guild wars that offer endless fun ★ Adventure RPG dungeon games and boss battles award you with 20 kinds of unique treasures and rare gifts ★ RPG online games let you discover more than 200 relics to aid you in your autoquest ★ Auto RPG levels give you treasure chests in each stage for even more great rewards! ★ Endless games means endless treasure - obtain gold automatically the longer you stay in the frontier ★ Tap, quest, and find more treasures Enter the free RPG online adventure game, traverse the endless frontier and take on your friends in online PvP games! See why Endless Frontier Saga 2 is one of the best idle RPG games on the market today! ■ Rights Information We request the following permissions for smooth gameplay. [ Modify or delete the contents of your SD card (READ_EXTERNAL_STORAGE, WRITE_EXTERNAL_STORAGE) ] Use an external storage such as SD cards to save and load game data. [ Find accounts on the device (GET_ACCOUNTS) ] This right is need for the linkage and notification between your game account and google account information. [ Read cell phone's status and ID (READ_PHONE_STATE) ] Inquire the device information for the advertising services provided within the customer interaction and game. (Manufacturer, model, OS version, etc.) [ The approximate location (network-based) (ACCESS_COARSE_LOCATION) ] Use the network/wifi information to provide the advertisement in one of the advertising services because items can be obtained free of charge after seeing it.  Is Endless Frontier Saga 2 - Online Idle RPG Game yours? Claim it!